The all new Audi A1 is a small super mini with big alarming news to the automobile industry, specifically for Mini and Audi’s arch rival BMW. Our reviews are based on analysis of various published Audi car reviews and data available on official Audi UK website. 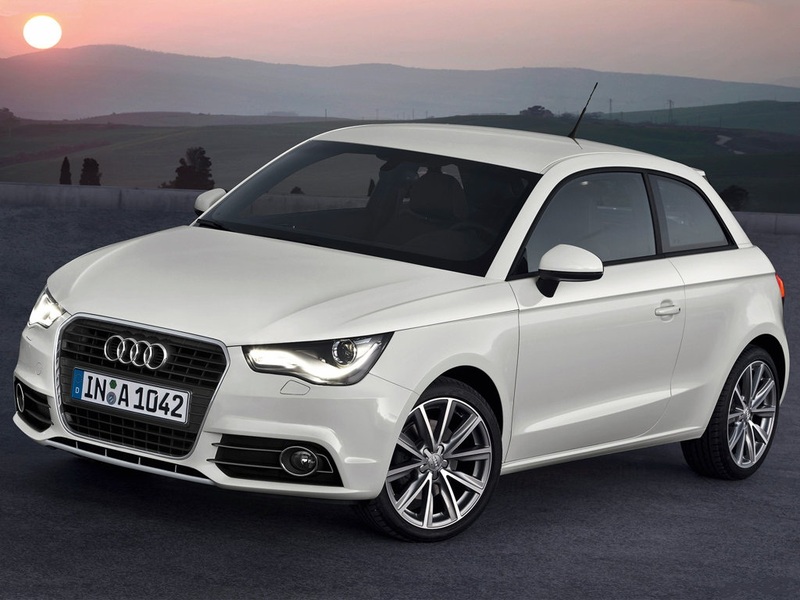 This is no fun car; the A1 is one classy vehicle to smack the competition in UK market. There is no premium look in A1 neither it feels expensive behind the wheels. It has perfectly fitted Volkswagen Polo support from beneath. A1 is a strong competitor to every small hatchback, it also catches VW powerful turbocharged engines, with 85bhp 1.2 litre and even more with 120bhp 1.4 litre. And if you are not satisfied with these engines, there will be new addition to challenge the Mini Cooper S with 180bhp supercharged and turbo engines. You can also choose the diesel option 1.6 TDI. Audi A1 1.6 TDI SE is perfectly built, quick, elegant looking and fuel efficient car. A1 is the perfect car for buyers looking forward to find the Mini and VW alternative in affordable price range. Moreover, A1 stands tall in the top 5 best super mini’s list for 2011. Audi has maintained its quality with A1, all the engines are good, top quality, and met all the superior Audi standards. Due to the past buying trends, German manufacturers are now focusing on producing super minis. A1 strikes the market and managed to capture the competition. £13,420 – £21,800, starting lowest with 1.2 litre TFSI SE and different engine and specification range. As you add more optional features price go up. 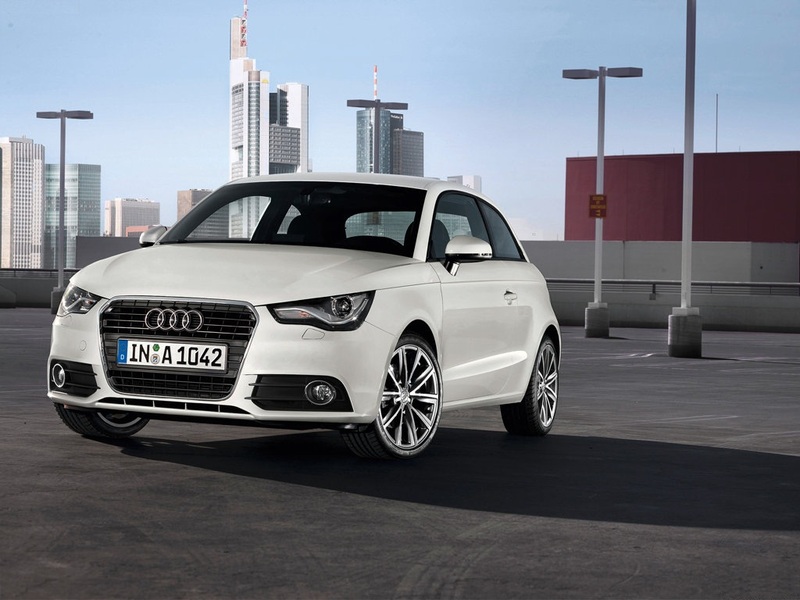 The Audi A1 starts with low performing 1.2 litre petrol engine. However, small engine features power boosting a turbocharger with good body weight. The 1.2 litre produces 85bhp, 0-60 in 11.6 second with a top speed of 112mph. The starter model will satisfy your driving needs and won’t be heavy on your wallet, but if you drive out of the city often, then consider the 1.4 litre TFSI which produces 120 bhp with turbocharged. Furthermore, the acceleration speed reduces significantly to 0-60 in just 8.8 seconds with highest possible speed 126mph. There will be an addition of more powerful S1 to compete with Mini Cooper S later. There is only one diesel engine with 1.6 TDI producing 104bhp with top speed upto 118mph. Diesel engine is calmer than other two engines because the power comes low down. Fuel economy is also very good with the diesel engine averaging 70.6mpg. However, with 7 speed automatic transmission fuel economy drops to 54.3mpg. When it comes to cornering, A1 stay behind to MINI balanced and agile handling. However, Audi A1 provides the ultimate driving experience with good grip. A1 has plenty of road grip to perform well on corners and on short turns. Moreover, calm and smooth drive than MINI. There is optional seven speed double clutch auto gear box alternative to conventional automatic transmission. It might be little disappointing for car enthusiasts, but most of the reviewers are happy with A1 performance and driving dynamics. There are lot of expectations from S1 range. Most of the reviewers are worry about the Audi A1 ride. It has passed all the quality tests on smooth surfaced roads, but yet to be tested on tough terrain. However, it is no mini SUV to expect a lot from A1. A1 has one of the most comfortable drives in its class, and you can check your local showrooms in UK for a test drive. In comparison to Mini, A1 is far more comfortable to spend time. A1 drive is smooth and calm there is no noise inside the vehicle. A1 is available in three trims SE, Sport and S line. The base model SE has standard alloy rims, air con, antiskid control and iPod connection. Sport trim is for people looking for sportier feel with 16 inch wheels, supportive seats, multi-function leather steering wheel and Bluetooth. S line boasts 17 inch wheels, half-leather interior and sporty body kit. Considering the small Super Mini hatchback, A1 is comfortable and luxurious. The interior materials are top notch and comfortable. Audi A1 is our official “Super Mini eBest Car”. Audi A1 receives five out of five stars in Euro NCAP safety tests. It is one of the safest cars to drive. The standard safety equipment includes Driver, front passenger and front side and head airbag system, Electronic Stability Program, Front passenger airbag deactivation switch and Halogen headlights. If you opt for higher level trims, security features are even more enhanced. Audi A1 UK states the service plan for 5 years or 50,000 miles, whichever comes first. Check your local dealer for test drive and pricing brochure.